Labor Day is upon us, with picnics and barbecues filling up the calendar. Luckily there are several end-of-summer deals out there on new kitchen products that can help make prep a breeze. If you’ve been battling a blender that just won’t crush ice or a gunk-covered grill all summer, use Labor Day weekend sales to upgrade your appliances before the seasons change. So what to whip up for your Labor Day engagements? Whether you’re hosting a bash or just need a killer dish to contribute to a potluck, we’ve got you covered with this awesome menu. A blender is the quintessential summer kitchen appliance; from smoothies to mixed drinks, it’s the key to cooling off. But don’t think of a blender as just a summer appliance—it’s also the perfect thing for producing thick, hearty soups as we move into the chilly autumn months. Combine all ingredients and blend away! 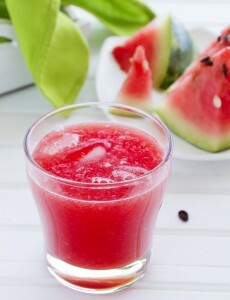 To spice things up a bit, whirl in a few shots of tequila, and presto: watermelon margaritas. Looking for a quick and easy summer salad? 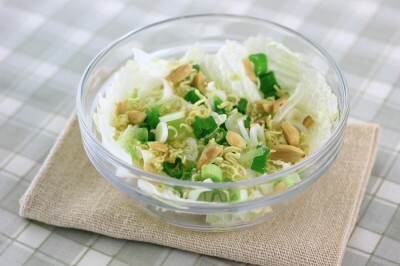 This Asian Noodle Salad is the perfect healthy side dish for Labor Day festivities. An upgrade on that old college favorite, ramen noodles, this salad will impress guests without breaking the bank, and it comes together in just 10 minutes. Combine all ingredients in a big bowl, and voilà: a fresh, healthy summer salad that will be a perfect pairing with anything from the grill. With the summer days dwindling, don’t miss out on an opportunity to cook outdoors. If the old grill just isn’t doing the trick or you’ve managed to make it all summer without one, consider upgrading to a Char-Broil classic grill—it’s on sale now at several retailers. If you’re short on space but looking for some macho grill power, this model is a good choice, and at just over $200, it’s a steal. 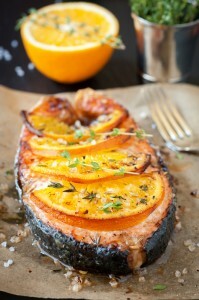 Simply place fresh salmon, skin down, on a piece of aluminum foil and drizzle the juice of an orange on top. Generously dust with brown sugar and salt for the perfect mix of salty, sweet and tangy. Thinly slice a second orange and place atop the salmon for an impressive presentation. Wrap the foil up and around the salmon and grill on medium until fully cooked, approximately 10 to 15 minutes. Every cook, novice or professional, loves a good stand mixer, and one of the most popular—the KitchenAid stand mixer—is discounted at some retailers right now. Whisk the heavy whipping cream on medium speed until thickened; add condensed milk and mix thoroughly. Turn mixer off and fold in crumbled meringue cookies and fresh strawberries. 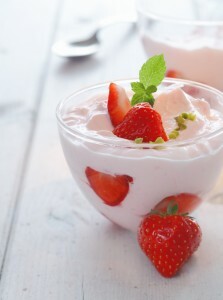 Refrigerate in a serving bowl or individual dessert dishes for at least an hour. The result: a simple dessert that will have everyone talking! You can take advantage of picnic and barbecue weather with kitchen appliance and grill upgrades. The best part: These appliances will carry you through the fall and winter months as you turn out cozy soups and baked goods to warm the soul. Images of barbecue, watermelon drink, strawberry dessert, noodle salad and salmon via Shutterstock.